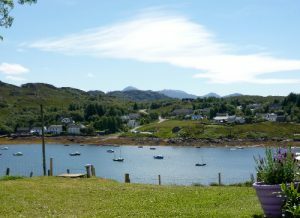 The view from the garden across Badachro Bay. 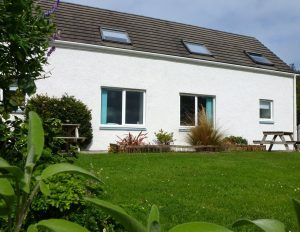 Two beautiful self-catering holiday cottages, ideally located in the picturesque west coast hamlet of Badachro, near Gairloch in Wester Ross, Scotland. The cottages occupy an enviable position on Badachro Bay with panoramic sea and mountain views that are truly outstanding. The cottages are tastefully furnished and fully equipped with the comfort of your holiday in mind, and each sleeps up to 4 people. The cottages have just been refurbished with new kitchens and double glazed windows. Come and explore all that this magical area of Wester Ross has to offer, or just relax, unwind and soak up the breath-taking scenery. Ceomara Highland Cottages will provide you with refreshingly high quality holiday accommodation, in a spectacular location. The holiday vacation you have been looking for.